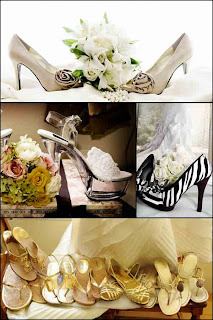 Think about the box when purchasing your bridal shoes. Every girl knows that wearing gorgeous shoes makes you the belle of the ball. With shoe fashion statements like these, why even consider wearing plain-Janes? The shoes are a most important part of your wedding day’s attire. They compliment your dress and they emphasize your personal style. Finding the perfect shoes to wear on your wedding day takes a little time and some expert information. * Ballet slippers are great for a bride who is taller than her groom, or take along for later comfort. They are available in pure white satin, very stylish and elegant! * If you’re wearing strappy sandals and nylons, look for footless pantyhose to avoid “nylon-squeezed” toes. * Destination or beach brides can slip on toe rings or soleless sandals for their barefoot ceremony in the sand. 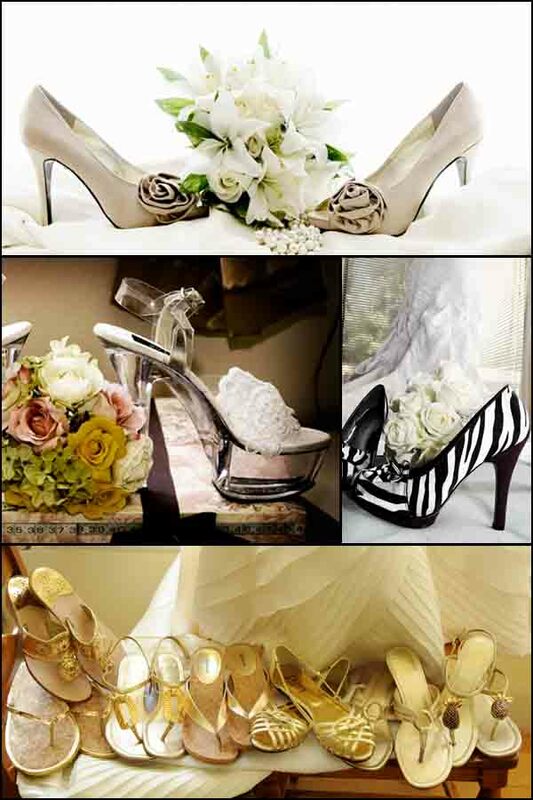 * Choose your wedding shoes with both elegance and comfort in mind. You want to enjoy this special day without aching feet or blisters! Free Gallery Wrap Canvas Print! 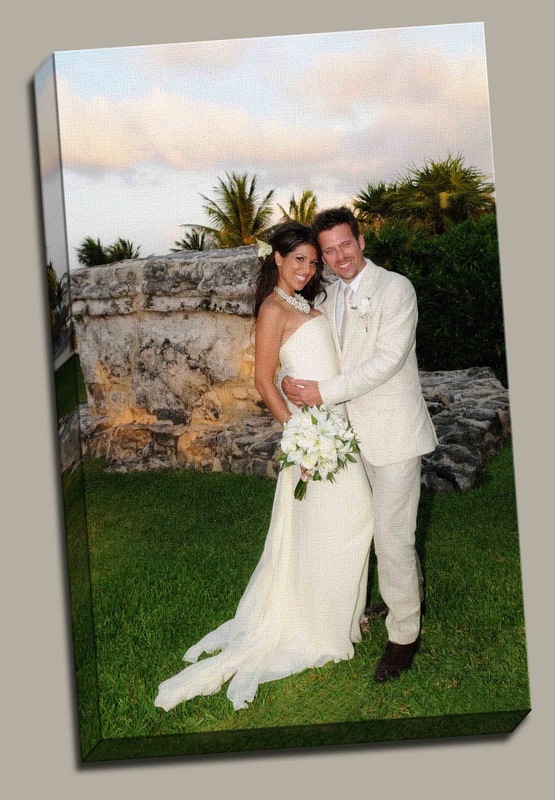 Book your wedding with Bella Mia Foto and receive a 20×30 Gallery Wrap Canvas Print of your favorite image from your special day. This is in addition to any other Gallery Wrap Canvas prints included in your wedding package of choice.